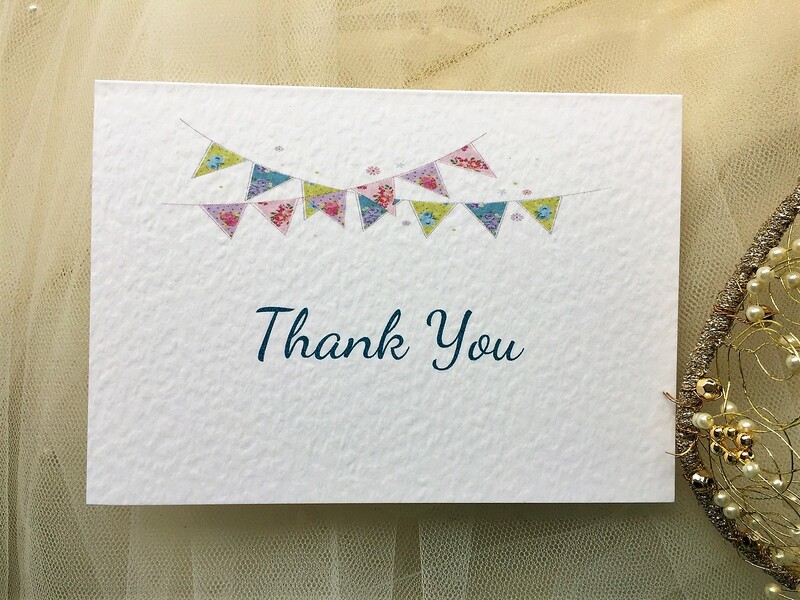 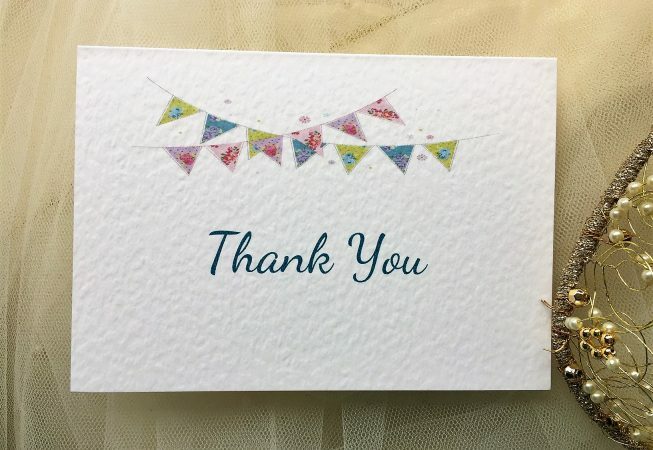 Our Summer Bunting Thank You Cards are available for all special occasions when you want to send a personal thank you. 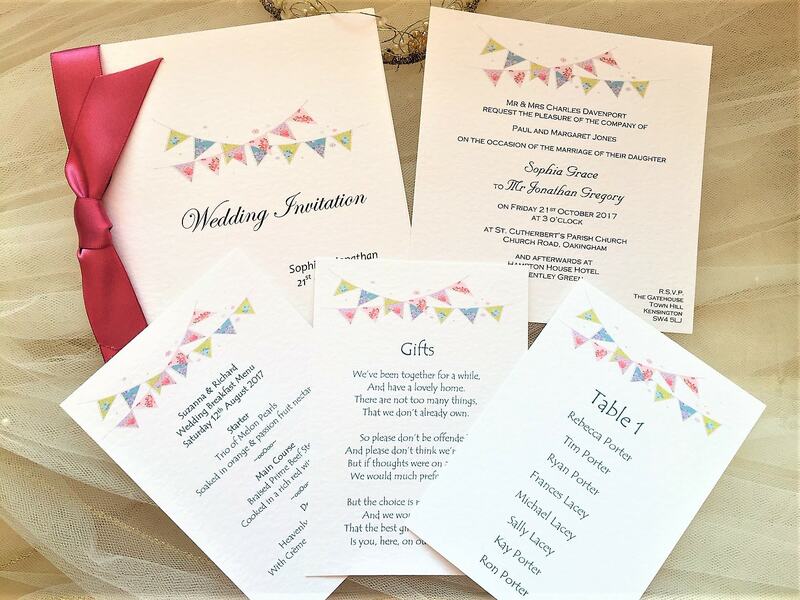 Our prices also include free envelopes and free guest name printing if required. 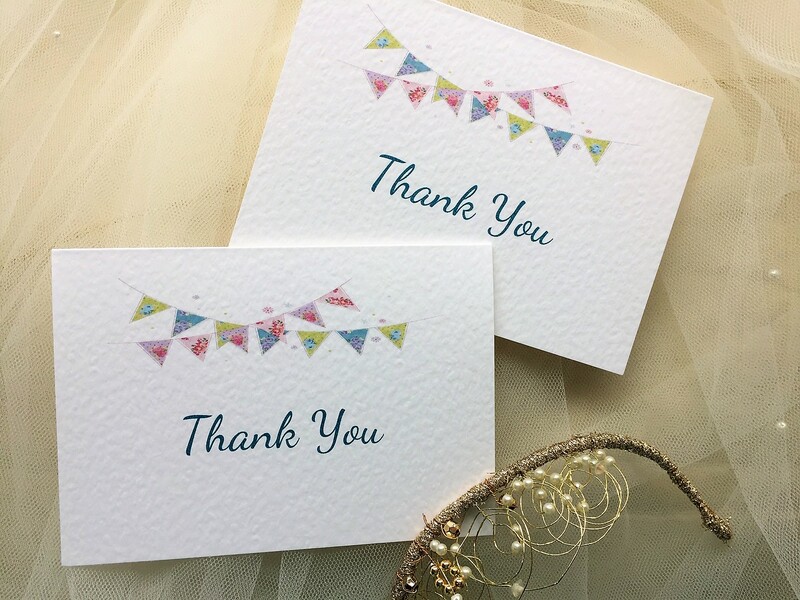 Our Summer Bunting Thank You Cards form part of the Summer Bunting Wedding Stationery Range. 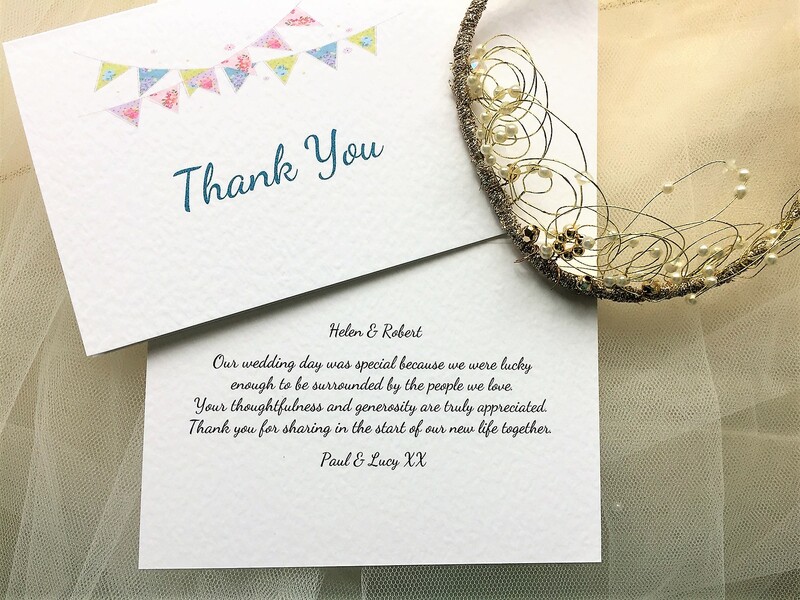 We can personalise your thank you cards by adding guest name printing if required.